Wayne Garinger started curling in 1950 at the curling club in Star City at the age of 14 and he started helping out at the club as soon as he was old enough to help with the ice. He started out by helping to put the ice in and then scraping and pebbling. This lead to being the ice maker for the club for many years. 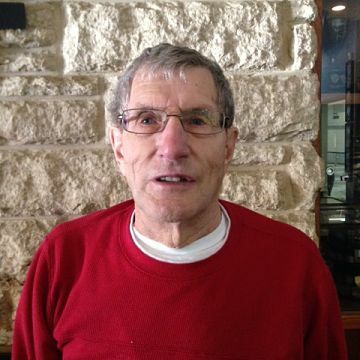 He also served on the Board of Directors and served as President of the Club as well. In 1968 he was hired as the Manager of the Melfort Curling Club and served in that position until 1975. He was the manager when they moved into the new Curling rink in 1972. During that time he also served as the ice maker as well. Wayne continued to curl at the Melfort Curling Club after his term as Manager and he also continued to volunteer his time there as well. He served on the Board of Directors for 15 years and served as President from 1979 to 1981. Wayne is proud of the fact that he organized the First Super League in North East Saskatchewan. He also organized the first Cash Spiel in Melfort and started the “Round the Clock” Bonspiel to culminate the curling season in Melfort. Wayne has been involved with the Melfort Curling Club as manager, ice-maker, draw master, Board Member or volunteer at the Melfort Curling Club for close to 50 years and he continues to be an active member and volunteer of the curling club to this day. 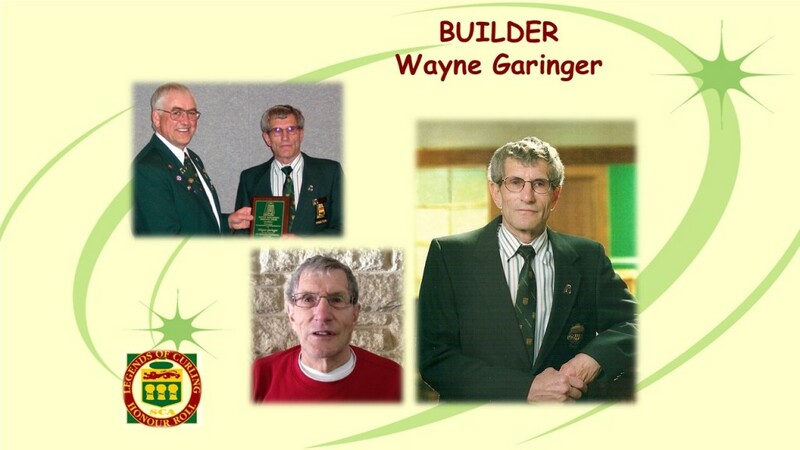 Wayne also volunteered on the Saskatchewan Curling Association (SCA) Board. He served as Regional Director from 1986 to 1995 and again from 2001 to 2003. In 2003 Wayne was the recipient of the Scotty Richardson Memorial Award for his outstanding contributions to the sport. Wayne was also a competitive curler curling in many bonspiels over the years throughout Saskatchewan and Alberta. He qualified for the Northern Men’s Playdowns 9 times. The first time in 1954 and the last time in 1994. He played all four positions in five decades. He played with skips such as Vern Coopersmith, Bob Olson, Moe Armstrong and Orlo Coverett. He also played in 1 Provincial Mixed, 3 Provincial Seniors (runner up in 1991) and made 2 appearances at the Provincial Masters. Besides curling Wayne was involved with Baseball and Softball for many years both as a player and official. He has also been involved with the Melfort Lions Club as well. For his tireless work as a volunteer at the Curling Club, Polkafest, Ducks Unlimited Fastpitch, baseball, softball, the Melfort Mustangs and charities, Garinger was named Melfort Citizen of the Year in 2008.